Happy Halloween, friends! 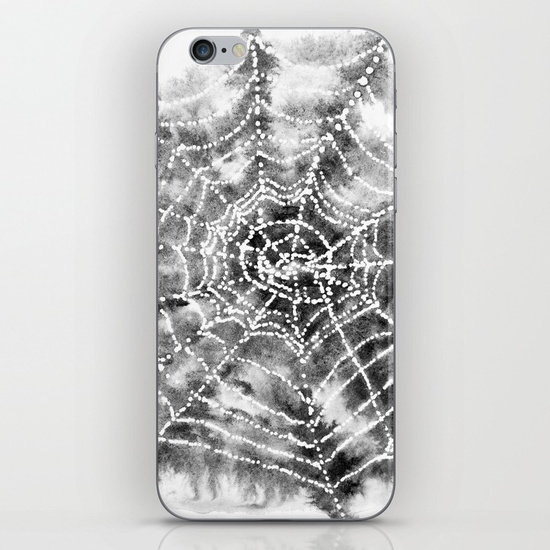 Whether or not you’re a Halloween enthusiast, we have a little treat for you (yes, that’s right, pun-intended). 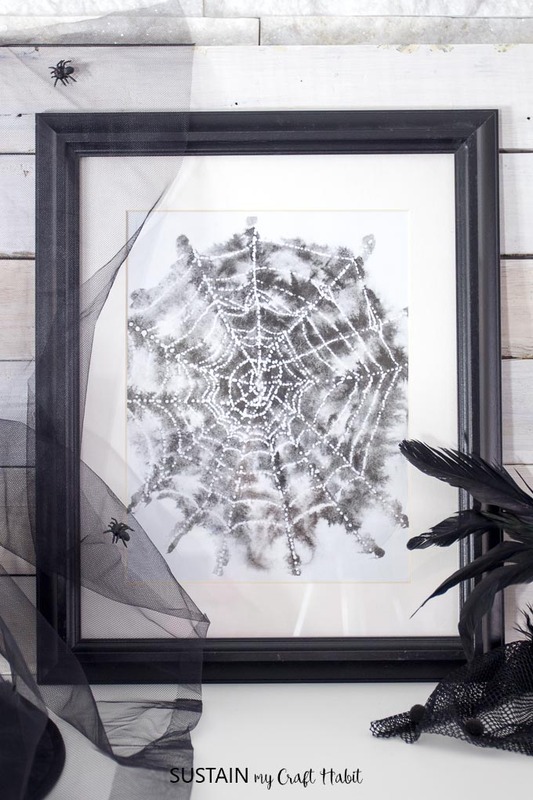 We’ve created this beautiful and free Halloween art printable for you to enjoy…and yes, we said for FREE (no tricks here;))! See what I did there? Oh dear, I think I may have started to early into the candy. Normally, I would agree, “beautiful” is not a word used to describe Halloween decor but this is one of those exceptions. 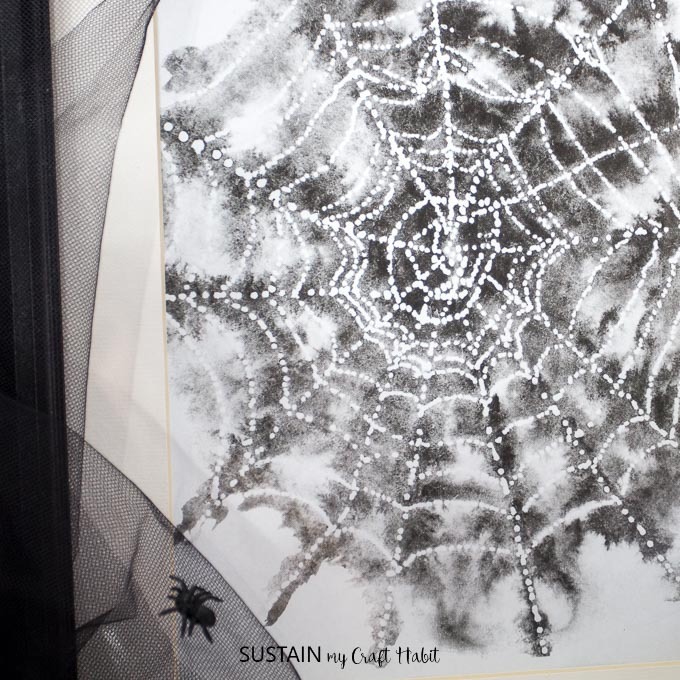 The spiderweb water color painting turned out so well that we wanted to share the full size Halloween art piece with you. 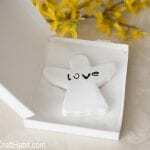 It was originally designed as part of our DIY Halloween Jewelry project using Envirotex Lite Jewelry Resin. 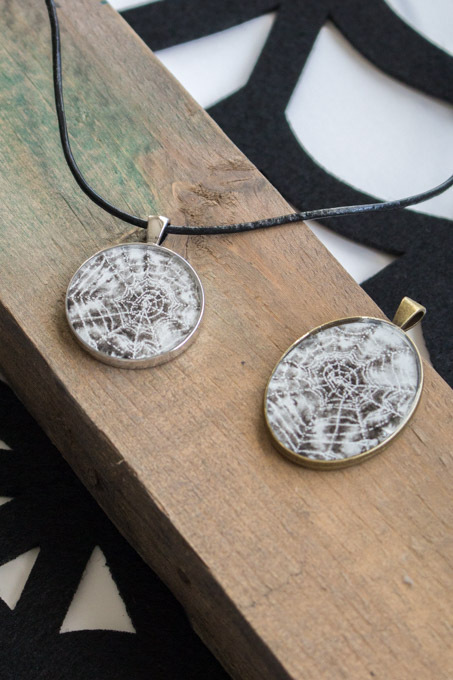 Although these pieces are Halloween inspired, they’re subtle enough to wear all year round. What do you think? We also created an 8 x 10 print for members of our Sustain My Craft Habit community. 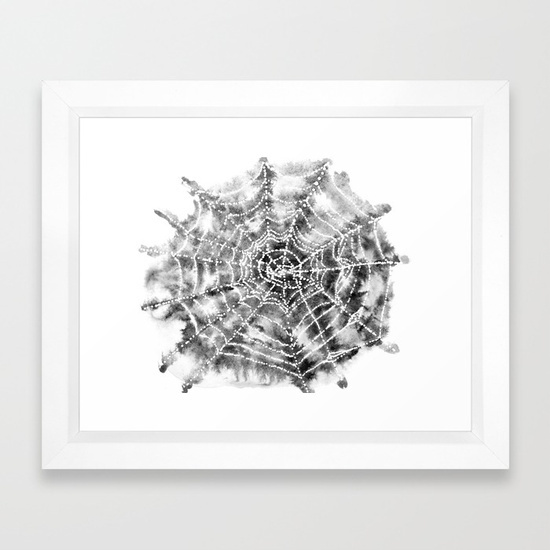 This print is perfect for Halloween parties, office decor or any other decorating you have in mind. We think it might even look quite cool blown up large (we’ll let you know how that goes!). Simply download the image, print it off on your printer in black and white, using photo paper* (preferably). 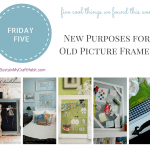 Frame it in a simple 8″ x 10″ photo frame*. 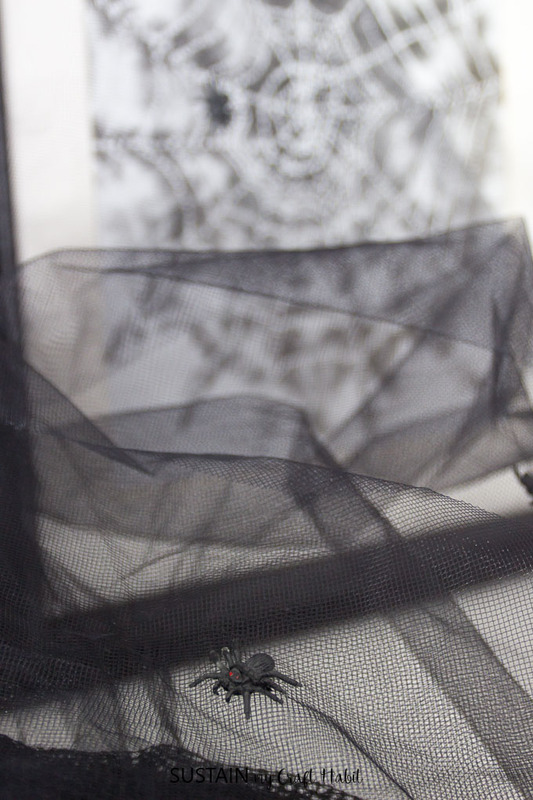 Display is with a little black tulle and some dollar store creepy crawlies* for some fun and spooky Halloween decor. Ok, technically it’s not at all spooky but you get what we mean. Enjoy…if you dare (mwa-ha-ha)…sorry, couldn’t resist the evil laugh! 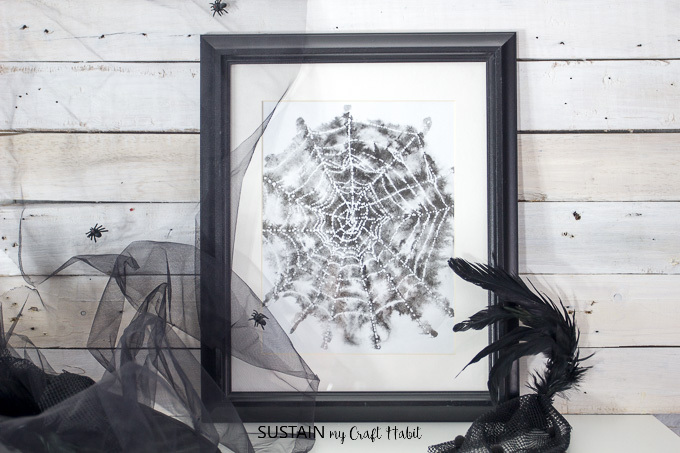 If you’re looking for more Halloween decor ideas, check out our Spiderific Halloween Garland idea and our Pair of Ghostly Ghosts. Also, if you’re a fan of free printables as much as we are, sign up for our weekly newsletter to receive exclusive goodies each month. For example, we release new floral greeting cards each month. They’re perfect for any occasion any time of the year. 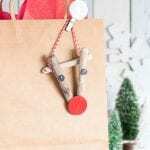 You can also find other free printable files on our blog here. 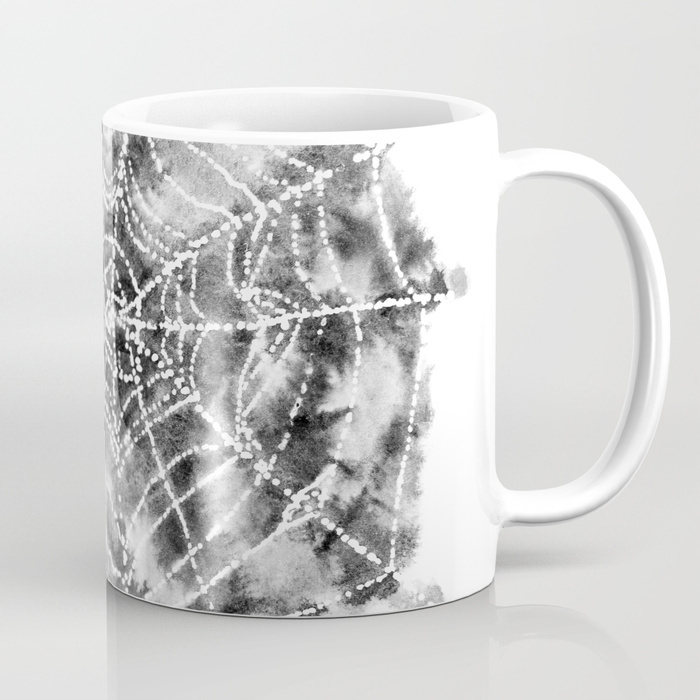 I like that it is kind of fuzzy looking like a spiders leg – adds to the spookiness. That phone case and pillow look awesome with the print too! Wow! 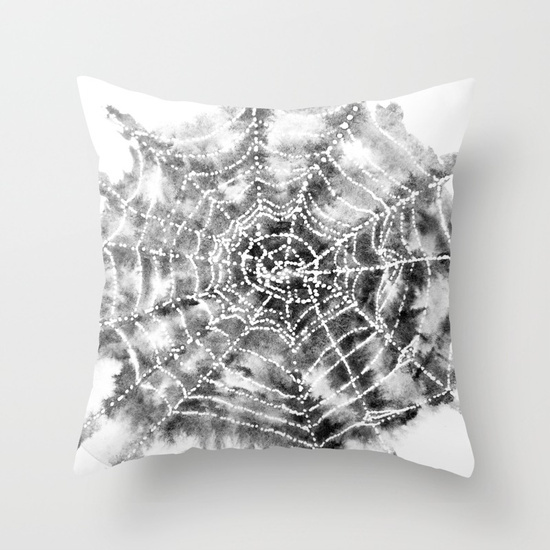 I think this would also make a great gift to a spider lover – something that can be around all year in any form.